The booklet is free to download for NUJ members. IS COPYRIGHT difficult to understand? Not really. 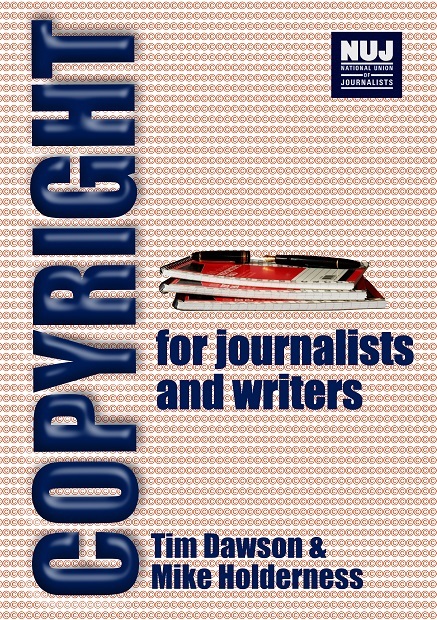 But to help you, NUJ President Tim Dawson and Freelance editor Mike Holderness have produced an ebook setting out almost everythign you as a journalist are likely to need to know. Copyright is the bit of the law that allows you to make a living... A shoe maker can only make a living because the law of physical property forbids people stealing the shoes they make: you can only make a living as a creator because the law of 'intellectual property' forbids people copying your work. Understanding copyright - and how you use it - determines how much you earn. It's free to download from the main NUJ website: you'll need to get yourself a password to log in. Contact the Membership Department if you have difficulty with that.